When you need waterproof labels in a pinch, these Write Your Own labels are a great last minute labeling solution. Write on the labels with a permanent marker then seal in your writing with the built-in laminate. Have these dishwasher-safe labels always on hand ready to personalize when you need them. Non-PVC & BPA-free. Ideal for labeling baby bottles, lunch boxes, food containers, water bottles, school supplies, electronics, camp gear and more. Contains 24 labels. Made in Canada. Creating your lables is as easy as 1,2,3! 1. WRITE: lift laminate overlay and write name using permanent marker. 2. SEAL: peel off backing from overlay. Press down clear, protective laminate, smoothing it to edges to seal in your writing. 3. STICK: Remove sealed label from sheet. Stick to a clean, dry, smooth surface free of ridges or textures. Love these labels! They're durable on my son's lunch containers and hold up to daily washing :) Happy to have his gear all labeled so it comes home! After much research and testing,in early 2010, Emily Press Labels was launched with a collection of modern, contemporary personalized labels for kids and adults, and for the home. 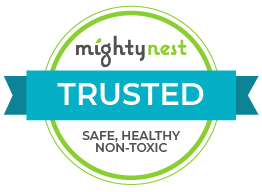 The result is award-winning labels, recognition from top parenting websites, and waterproof labels that parents AND kids love. Now some of those same designs and new ones can be found on their innovative eco product, Write Your Own labels.